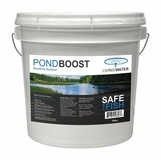 Home Beneficial Pond Bacteria Pond Boost Beneficial Bacteria - 25 lbs. 50 eight ounce water soluble packets. individual packets make it so easy to toss well out into the pond. Purchased this a few months back, hard to tell for sure but seems to be working. So far so good. what temperature should water be for this product to work. In other words, will it work during the winter to be ready for spring? Any swimming restrictions? The water can not be less than 38 degrees Fahrenheit. 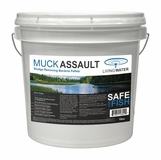 It is safe for fish and humans. 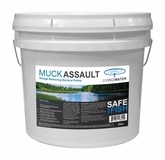 How is easypro pond vive bacteria applied? You throw the bags of powder into the pond and the dissolve.